New Smyrna Solar is a top solar contractor in New Smyrna Beach. We have a wide variety of solar products, and all of our solar installations are performed with the highest quality. We perform residential and commercial projects of all sizes, and we'll come to your home or business to give you a free estimate and a free energy analysis. Many New Smyrna solar contractors use mediocre solar products for their installations. At New Smyrna Solar, we use the highest quality products on all of our installations, so you can rest assured that your project will perform at peak efficiency for many, many years. In our product line, we have nearly every product that is suitable in the Florida solar market. We also pride ourselves on exceptional customer service, and we're looking to build client relationships for the long-term. With this in mind, the job will not be done until you are 100% satisfied with your solar installation. 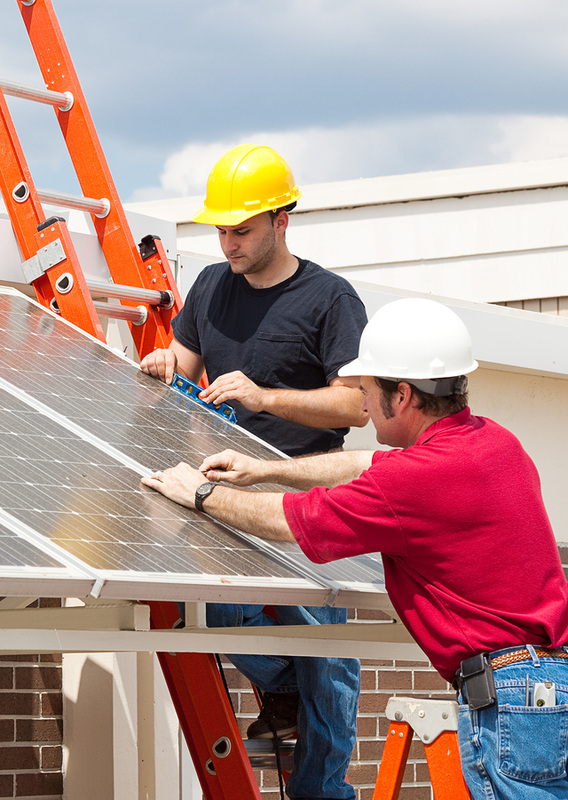 Our technicians will also advise you of every solar project that might make sense for your home or your business. We focus on the return on investment, as we know that the dollars and cents must make sense, first and foremost. So in your particular case, if there is a solar product that is not a good fit for you, we will tell you just that. So if you are looking for a solar power contractor in New Smyrna Beach specializing in commercial and residential projects, then look no further. New Smyrna Solar is here to take care of all your solar power needs at your home or your business office, and save you money along the way. Solar power is a very good investment to make, especially in today’s world of continuously rising energy prices. To ensure that you have the best value for your investment, it is important that you select the right solar contractor in New Smyrna to install a solar power setup at your home or business. All you have to do is contact us; we pride ourselves on our excellent, hands-on customer service to analyze and provide you with a detailed proposal on turning your home or office building into an energy-saving powerhouse. We strive to be the very best at what we do, and our customer service is our main focus as we endeavor to build long-term relationships with the residents and businesses in New Smyrna Beach. 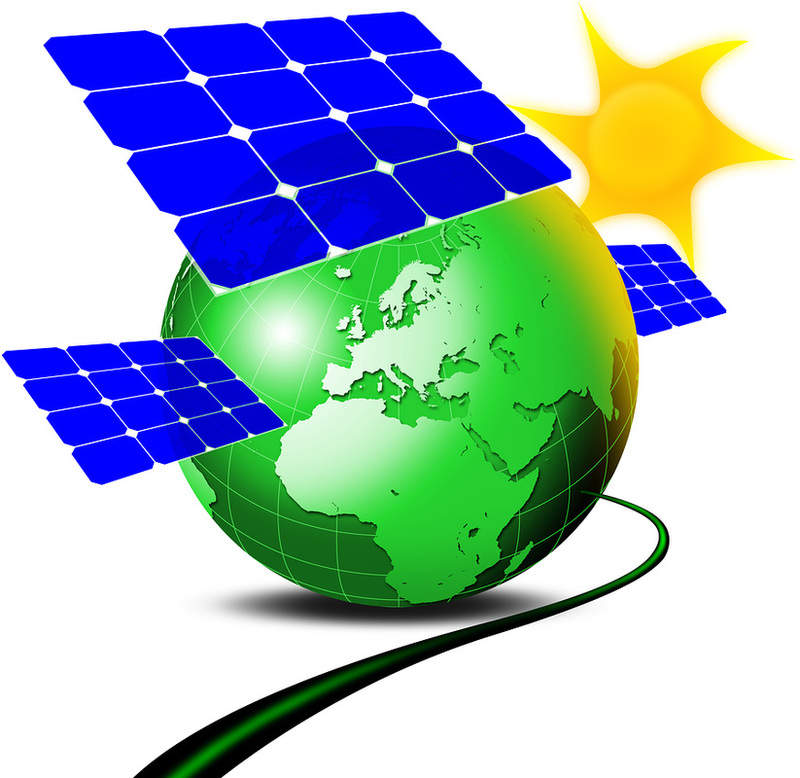 The basic working of solar technology involves harvesting energy from the sun. 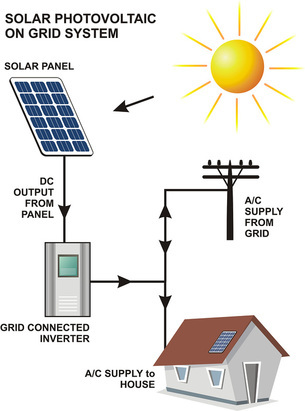 Your solar power set-up will consist of solar panels made up of photovoltaic cells. These cells are primarily made of crystalline silicon and gallium arsenide, and they are used to capture the energy contained in the sun’s powerful radiation and to store that energy when needed. This energy is further converted into usable electrical energy to operate your appliances and devices. New Smyrna Solar guarantees quality, durability and high efficiency in its solar products, making sure you get a bang for your buck when you hire us to install your residential or commercial solar energy products. Take advantage of the internet with our solar power systems with our online monitoring service. Once you purchase a solar power system from New Smyrna Solar, you can log on to the website at any point in time and monitor your current energy usage and also see your savings in real time. Instead of difficult and nebulous numbers and figures, this information will be very easy to understand and you can benefit from the various features our amazing online dashboard will provide you. This powerful tool will ensure that you are continually updated on every panel installed and your energy usage that you are realizing with New Smyrna Solar’s green energy products. Solar panels in New Smyrna Beach are what make up a solar power system, and New Smyrna Solar can install a solar power system at your home or business anytime you want. The term “carbon footprint” is thrown around a lot these days, and we should do as much possible to reduce our own carbon footprints on Earth, as it is the responsible action to hand down an earth and environment at least as healthy as was given to us. There is no better way to achieve that goal than by pursuing solar energy to power your home or business in New Smyrna Beach. Not only will it help you save on your energy bills significantly, but you will also be helping to make the world a better place to live. Our solar panels New Smyrna Beach are the highest quality in the market, and will be installed properly so that they will operate at peak performance for many years to come. If you are frugal enough in your usage, you can even produce and store more solar energy than is required to operate your home or office, which you can then sell to the utility company to put money in your pocket. Cheap, eco-friendly, and productive – our solar panels have it all and more and can literally change your life, as well as your financial future! A solar pool heater in New Smyrna Beach is one of our specialties, and we install them quickly and safely to start getting your pool warmed up. Summers are for enjoying your backyard swimming pool, but what about the winters? 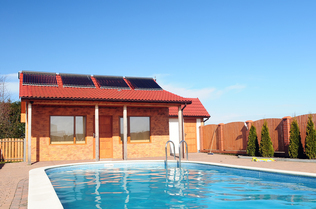 Swimming pools are huge financial investments, and to make the most out of your money, you can invest in our solar pool heaters to heat your pool even in the winters. This way, you and your kids can enjoy your pool nearly year-round if you want. Using gas heaters is not feasible as they take a long time to heat up your pool and are very expensive to operate. Filling up these tanks can cost $400 or more. Water heaters are a necessary part of any household. You need hot water every day for bathing, washing, laundry, and many more activities. Unfortunately, heating your water can eat into about 30% of your total monthly energy bills. That’s a pretty high percentage, and you can avoid these costs if you install New Smyrna Beach solar water heaters. 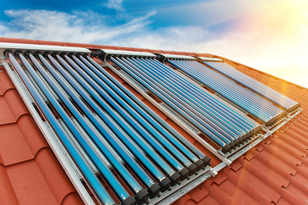 A solar water heater in New Smyrna Beach only requires the sun to service your home and provide you with all of your hot water needs, and the sun's potent rays are always free! 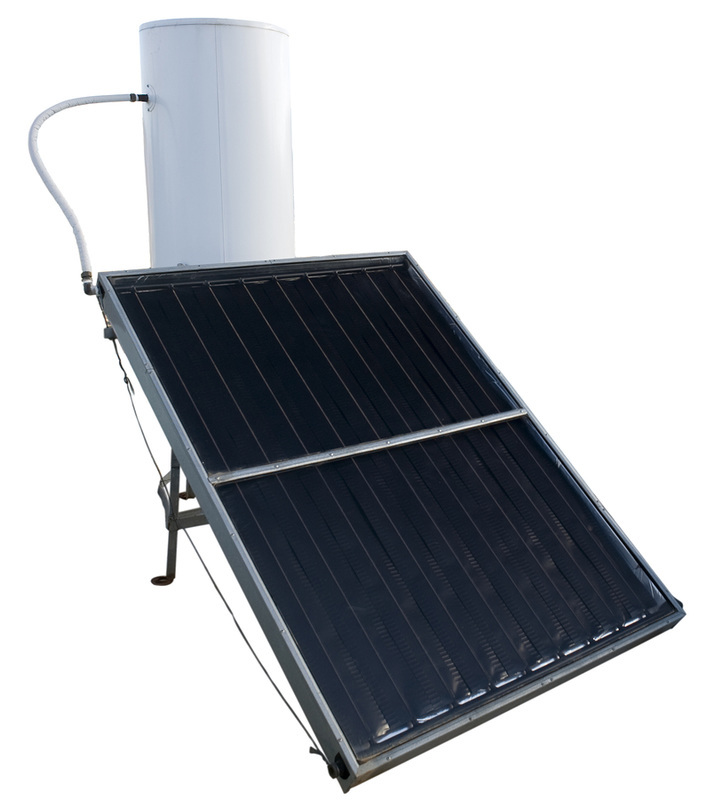 Effectively, you can save up to 90% of your total water heating expenses and effectively recover your initial investment in only a few years with our solar water heater New Smyrna Beach. We will be at your home or business to install a solar heater without any hassle or trouble, and you’ll be saving money immediately and for years to come! It is truly one of the smartest, and most cost-effective, investments you can make for your home or business. 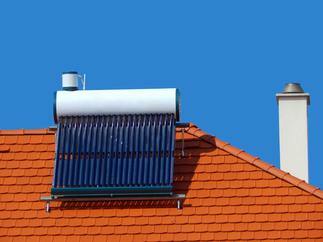 The return on capital for a solar water heater in New Smyrna is one of the quickest for all solar energy products. Florida attics are substantially affected by the Florida heat. They become hot, moist, damp, and dark, and make it challenging for your air conditioner to cool your home. This challenge will manifest itself with higher energy bills for your home or business. The hot air in the attic heats up the air below in your interior home, thus making the AC work harder to cool your home. Imagine what that will do to your energy bills. The ver hot attic essentially creates a heavy burden for your AC. One of the best ways to avoid this is to purchase New Smyrna Solar’s amazing solar attic fans which will be powered by solar energy to keep your attics dry and cool, thus substantially reducing the load on your AC and your pocketbook. A dry attic is a good attic for storage, since heat and moisture are breeding grounds for unwanted fungi, bacteria, and even mold. It’s not news anymore that solar power has a number of very powerful benefits for any homeowner or business owner. The state of Florida ranks 3rd among all 50 states when it comes to rooftop solar potential, but there aren’t as many taking advantage of this potential as there should be, as the state ranks only 13th when it comes to overall solar installed capacity. However, the tide is turning though, as more and more people in Florida are finally opting for solar power systems, and you too can be a part of this eco-revolution by hiring New Smyrna Solar to install and implement your solar system for you. Reduced utility bills, quick investment recovery through savings. Counters bad environmental effects such as global warming by providing cleaner and greener alternatives to conventional energy sources. An excellent home investment that will increase the value of your home or building, as well as your equity. Low maintenance and silent during daily operation. If you need the most experienced and knowledgeable solar technicians in New Smyrna Beach, you are absolutely at the right place. As a New Smyrna Beach solar contractor, our technicians are highly trained and skilled professionals that will analyze and provide you with the options required to turn your home or business into a clean and green place, along with solar analysis to help you determine which services fit best into your budget and will return the most on your investment. With our structured approach to going green, it won’t be long before you start seeing your power bills drastically reducing from prior levels. Florida is known for its sun, so it’s high time you put that sun to work for the benefit of your New Smyrna Beach home or business! Going green through solar products benefits everybody, and that is why the state of Florida provides several incentives to home or business owners that will make your decision that much easier. Our technicians know everything there is to know about these incentives, and you will be provided this information in detail when we visit your home or business for a free solar energy audit and analysis. Customer satisfaction is our motto, so if you have an under performing solar power system that is already existing, you can call us for the fastest service in New Smyrna Beach. We will provide an analysis of your existing system for free in order to gauge its performance, and our skilled service team will also help make your system to work at its peak efficiency once again. We will also inform you about ways to keep your systems fit and effective for a long time. As long as you have New Smyrna Solar, your investment is safe and we will do everything possible to enable you to maximize the benefit of all of your solar energy systems. We service residents and business owners in the New Smyrna Beach area. Our New Smyrna Beach solar panels, solar water heaters, and solar pool heaters in New Smyrna Beach are among the best in the market, and our goal is always to build long-term relationships. Save money the smart and the eco-friendly way by calling New Smyrna Solar for a free quote for a better and brighter future. Call us today at 386-319-5843 for a free estimate. Our techs will come to your home or business and also give you a free energy analysis.